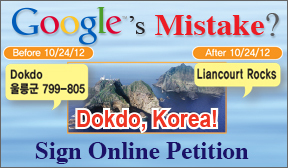 2012년 10월에 ‘Liancourt Rocks’으로 변경했습니다. 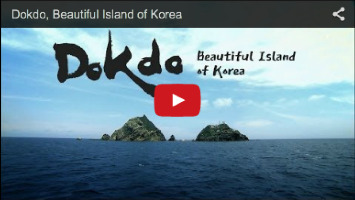 독도의 이름을 2012년 10월이전으로 구글에게 복원을 요청하는데, 여러분의 도움이 필요합니다. 여러분이 서명한 서류는 구글에 전달될것입니다. 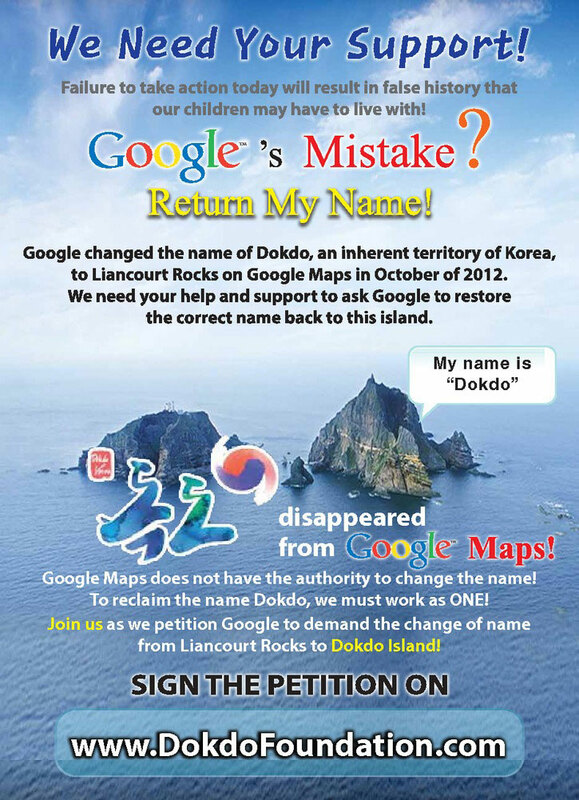 많은 참여를 부탁드립니다. 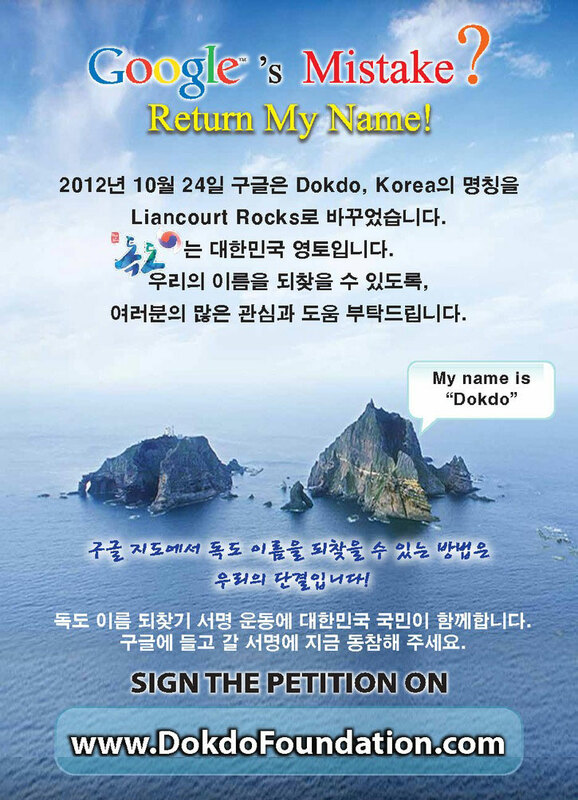 Dokdo Petition campaign will be conducted by October 25.
to Liancourt Rocks on Google Maps in October of 2012.
the correct name back to this island. 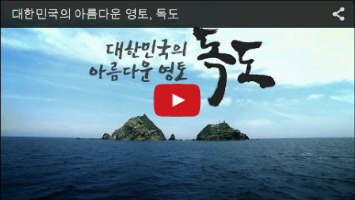 * 미국 이외의 지역의 경우 주소를 한줄로 넣으셔도 됩니다..
다음의 PDF 파일을 다운로드하시고 출력하셔서 petition 을 작성하신후에 우편으로 보내주셔도 됩니다.